Chitinase (EC 3.2.1.14) activity was measured in roots of Allium prorrum L. (leek) during development of a vesicular-arbuscular mycorrhizal symbiosis with Glomus versiforme (Karst.) Berch. During the early stages of infection, between 10 and 20 d after inoculation, the specific activity of chitinase was higher in mycorrhizal roots than in the uninfected controls. However, 60–90 d after inoculation, when the symbiosis was fully established, the mycorrhizal roots contained much less chitinase than control roots. Chitinase was purified from A. porrum roots. An antiserum against beanleaf chitinase was found to cross-react specifically with chitinase in the extracts from non-mycorrhizal and mycorrhizal A. porrum roots. This antiserum was used for the immunocytochemical localization of the enzyme with fluorescent and gold-labelled probes. Chitinase was localized in the vacuoles and in the extracellular spaces of non-mycorrhizal and mycorrhizal roots. There was no immunolabelling on the fungal cell walls in the intercellular or the intracellular phases. It is concluded that the chitin in the fungal walls is inaccessible to plant chitinase. 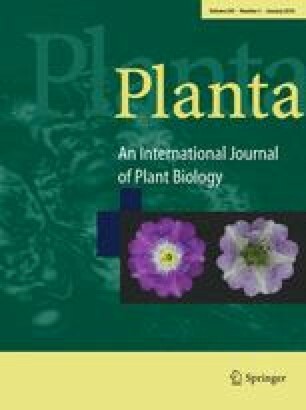 This casts doubts on the possible involvement of this hydrolase in the development of the mycorrhizal fungus. However, fungal penetration does appear to cause a typical defense response in the first stages that is later depressed.